I know this Newsletter is going out late to everyone and I sincerely apologize. By day currently I work in the Insurance Industry and we have been prepping for Hurricane Irma, I also live in Florida myself so I had my own Hurricane Prep to complete. 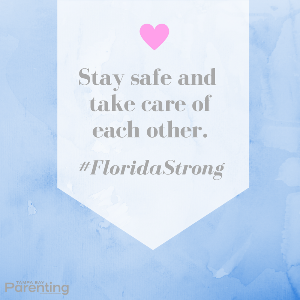 Thankfully the storm has passed, we were without power for about 36 hours, I am thankful that the only damage that occurred was water intrusion in to my Craft Room/Office. My husband spent 3 hours digging a trench before the high winds of the storm to alleviate some of the water, but when the storm was at it's worst the power was lost and the sump pump that he placed in the trench stopped working so water again went into the Craft Room/Office space this time throughout the 840 sf building. We will be repairing this and completing the resolution on our own, (meaning my Husband (bless him) will be laying some proper drainage so that this hopefully never happens again. Now let's get back to the FUN Stuff!! 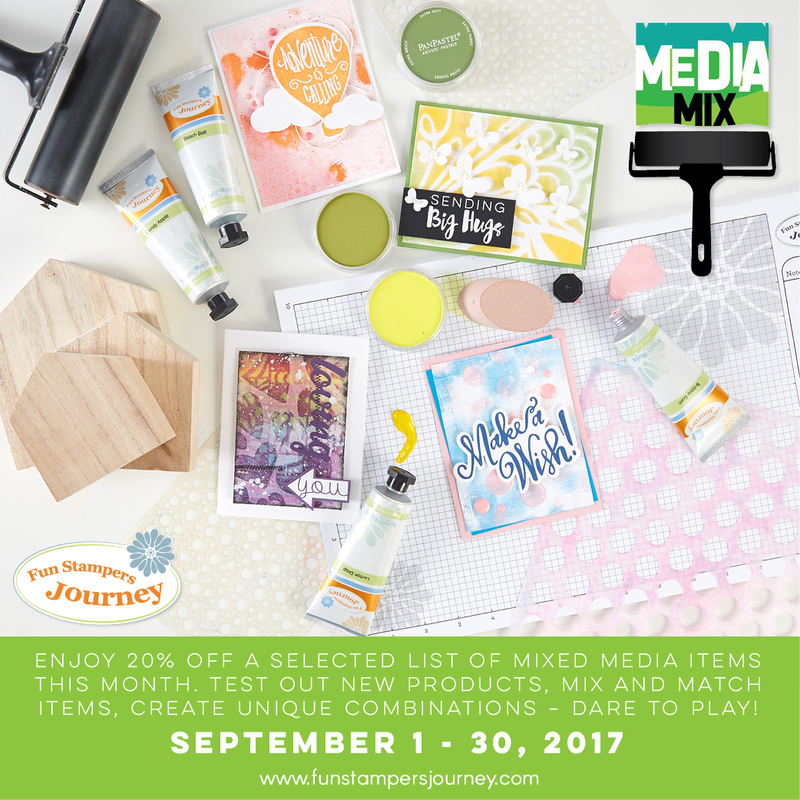 Fun Stampers Journey has 2 FABULOUSLY Fun Promotions this month for Customers and for those that Join the Journey. 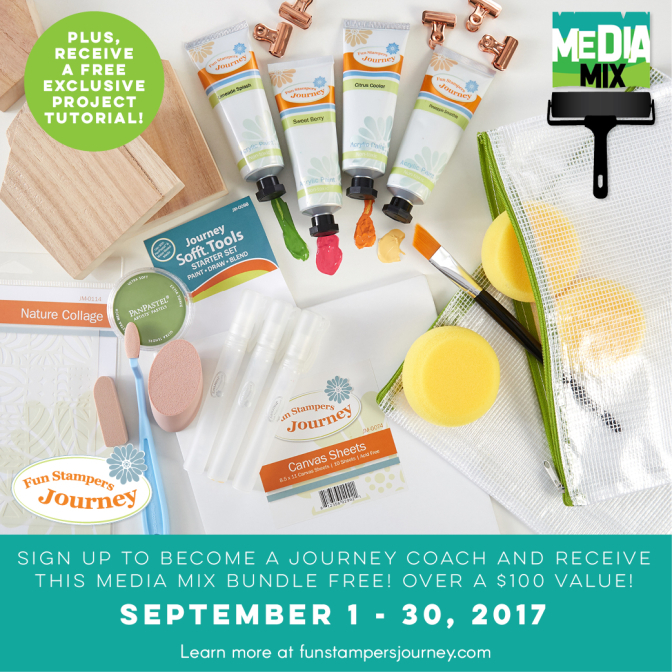 If you join my team in September and place your first qualifying $150.00 order before October 31, 2017 Fun Stampers Journey will send you $100.00 worth of Mixed Media Products for FREE! 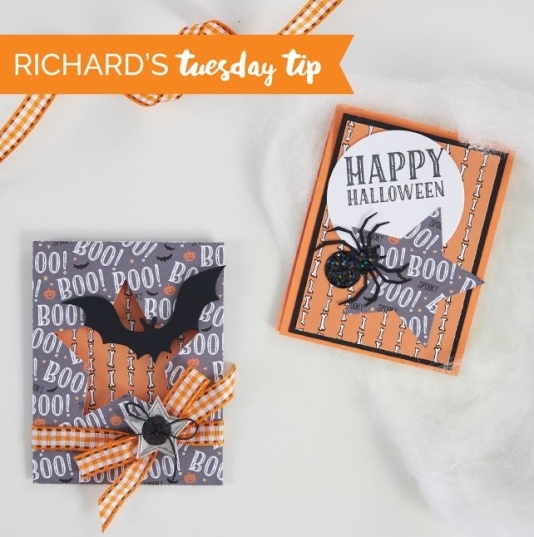 Includes: Business materials, 1 Catalog, 1 Trends Mini Catalog, Whip Cream & Assorted Cardstock Packs, Black Licorice Ink Pad, Journey accessories and Choose 2 stamp sets, 1 ATS stamp, 1 Die and 1 ink pad. 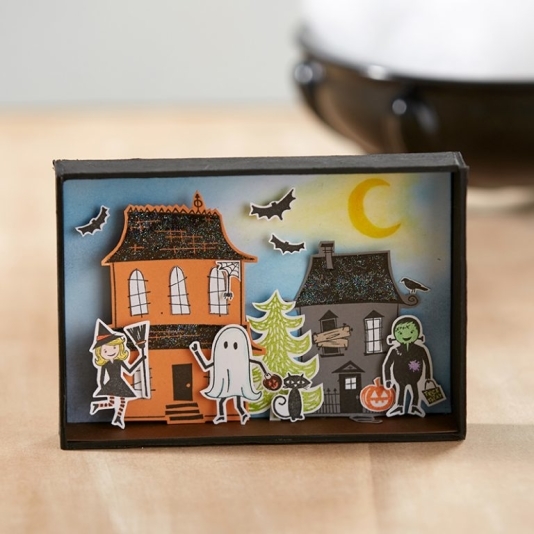 Black Licorice Ink Pad, Journey accessories and Choose 2 stamp sets, 1 ATS stamp, 1 Die, and 2 ink pads. 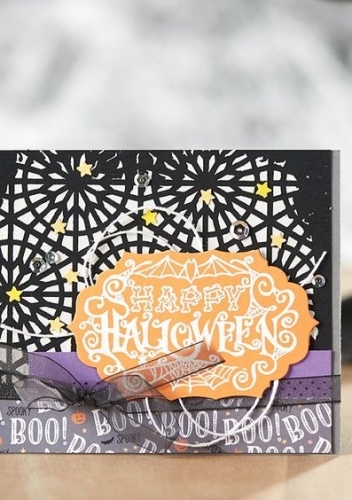 Includes: Journey Platinum Die Cutting Machine, Business materials, 8 Catalogs, 1 Trends Mini Catalog, Black Licorice, Whip Cream & Assorted Cardstock Packs, Black Licorice Ink Pad, Journey accessories and Choose 3 stamp sets, 1 ATS stamp, 1 Die, and 3 ink pads. You can view this little beauty HERE and when you have your wish list ready, please place your order HERE. 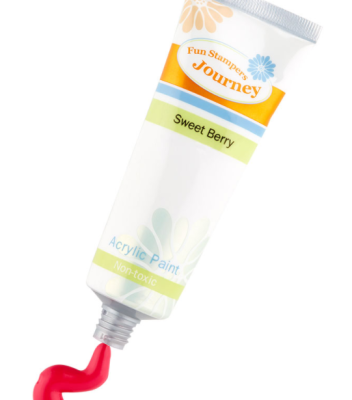 Be sure to check out the Journey Days on page 228, Journey Media on 252, Journey Colors on 300 and Journey Collection on 312 so many cool products to play with! 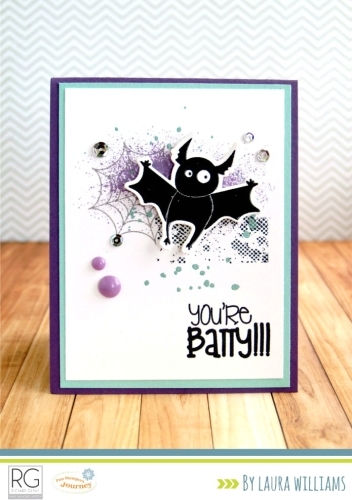 Fun Stampers Journey Holiday Line, be inspired for Halloween! 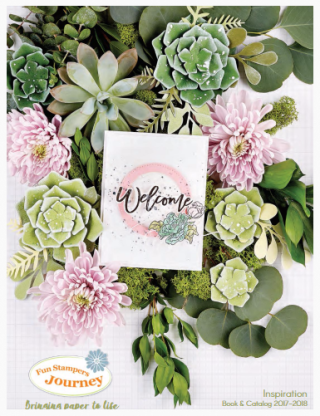 Start with personalizing your Bloom Collection Jewelry, create a scrapbook page, themed invitations, cards and so much more! 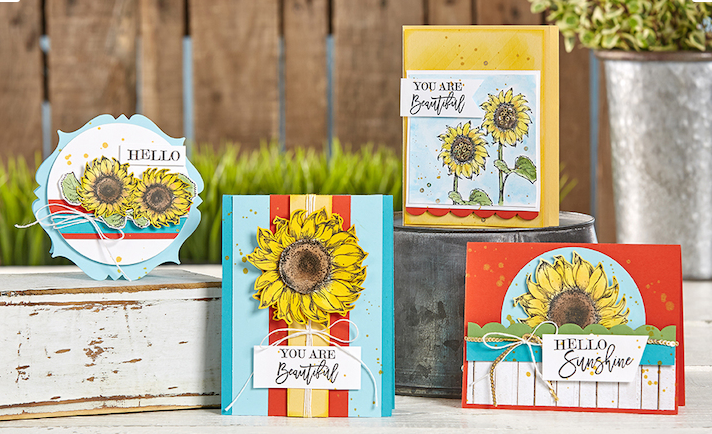 Joining Bloom Box is the easiest way to create gorgeous cards with brand-new products and share your papercrafting passion! 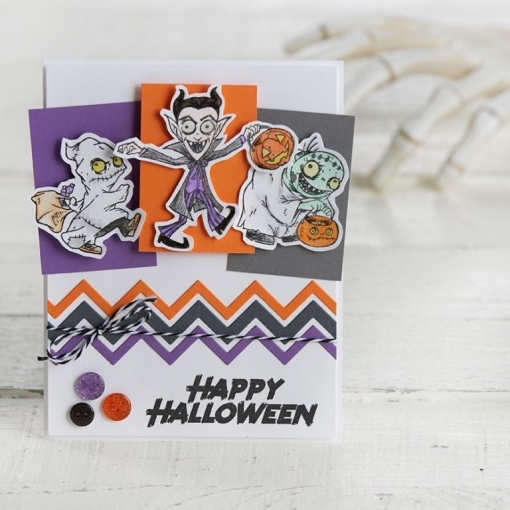 Each month enjoy an exclusive red rubber stamp set, pre-cut elements, coordinating embellishments and step-by-step instructions. 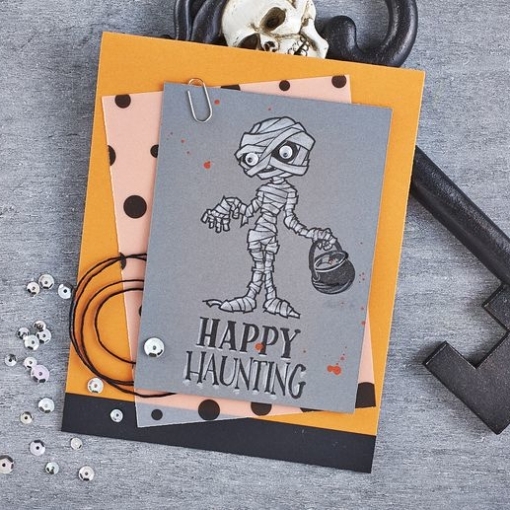 Create 4 eye-catching, unique greeting cards using the supplies we've provided. 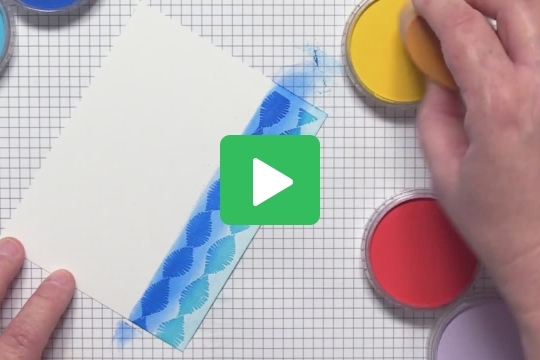 Just add your inks and a few tools, and you're ready to go. 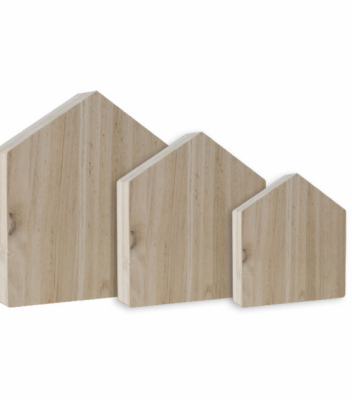 Share your creations with friends and family, give a set as a gift, or keep in your personal inspiration library. 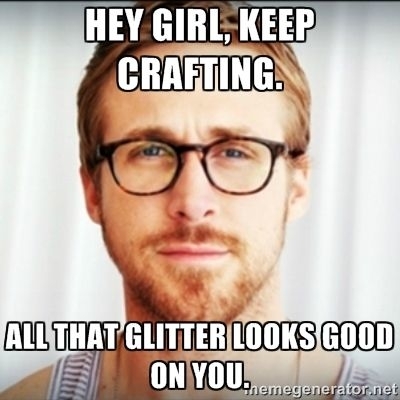 Better yet, use it to host your own crafting party! Get your Bloom Box by with our 6-month subscription service for $24.95/month. We now have an Ala Carte option as well to purchase the current month only, while supplies last, for $29.95. Ala Carte purchases are not guaranteed as supplies are limited. 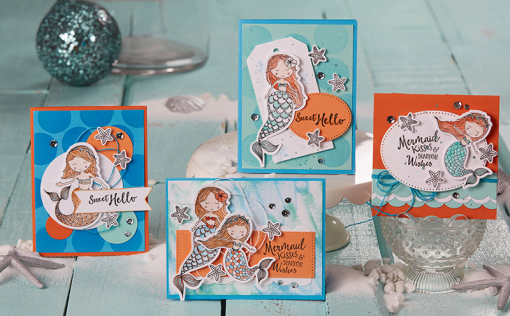 If you missed out on the Bloom Box last month of Mermaid Kisses (pictured above). You can still purchase the Stamp, Die or Bundle (while supplies last). 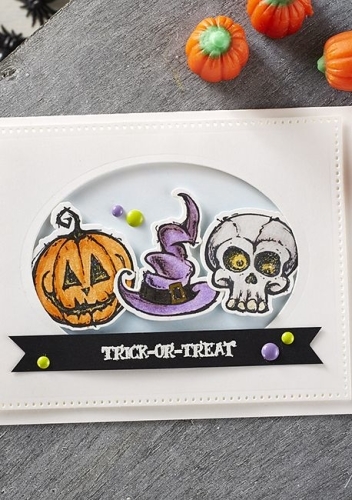 Once they are sold out they are gone for good, don't miss your last chance opportunity to purchase this FABULOUS stamp set with coordinating dies. 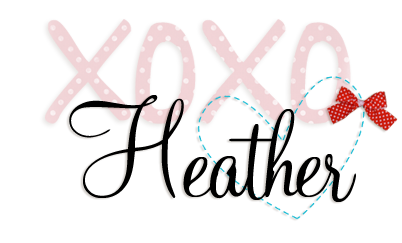 Thank you for being a subscriber to my Newsletter. 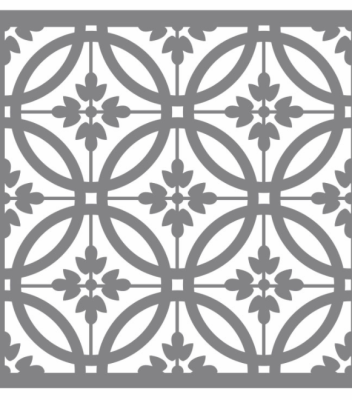 Stay Tuned to my Facebook Page, Blog and or Newsletter as I will be having several new opportunities starting in September for Fun Stampers Journey and product play. Its good to know that irma didnt cause you guys a lot of damage. 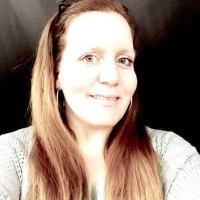 I would love to take part journey star kit but myjob is a little busy right now, i will catch it on a later date though!